We’d love your help. 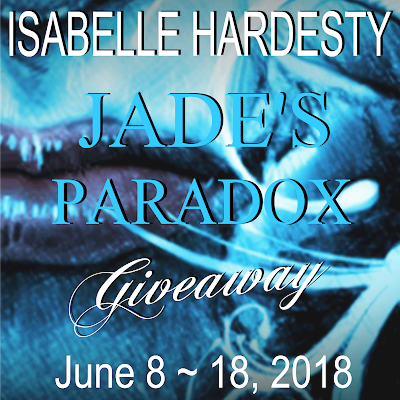 Let us know what’s wrong with this preview of Jade's Paradox by Isabelle Hardesty. Jade Delacourt is a half shapeshifter and a half fairy. She is now closer to stopping Bex, who is an evil fairy. That means Jade is also much closer to danger. To truly stop Bex, Jade must do something that she’s not prepared to do, become a fairy queen. Seven, Jade’s true love, is called away to film a scene overseas. Now that her hot shapeshifter / actor boyfriend is gone Jade Delacourt is a half shapeshifter and a half fairy. She is now closer to stopping Bex, who is an evil fairy. That means Jade is also much closer to danger. To truly stop Bex, Jade must do something that she’s not prepared to do, become a fairy queen. Seven, Jade’s true love, is called away to film a scene overseas. Now that her hot shapeshifter / actor boyfriend is gone, Jade finds that dealing with a younger sister is not as easy as she had always imagined. Nyx and Alejandro grow closer even while she develops part of her powers she never knew she had. Jade must balance her new role as big sister while learning how to be a Fairy Enthrall, that is, if she ever plans on stopping Bex's evil reign. Jade is forced to confront her past just as she is ready to move toward her future. Her concept of family is shattered and she meets a handsome friend who tries to help her pick up the pieces. Seven returns to find things aren’t the same in NYC. Find out what happens to Jade in this third and final book of the Delacourt Saga series. 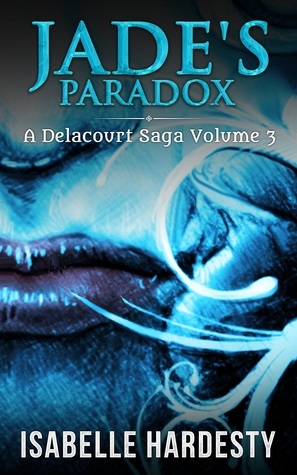 To ask other readers questions about Jade's Paradox, please sign up. Jade has a blood family, but she is finding that having a sister can be both rewarding and very, very trying, especially when her sister has a mind of her own, some pretty strong powers and a major chip on her shoulders. Even more crushing, Jade finally learns who her birth parents are and what truly happened that caused her to be raised in the human world, never quite fitting in. 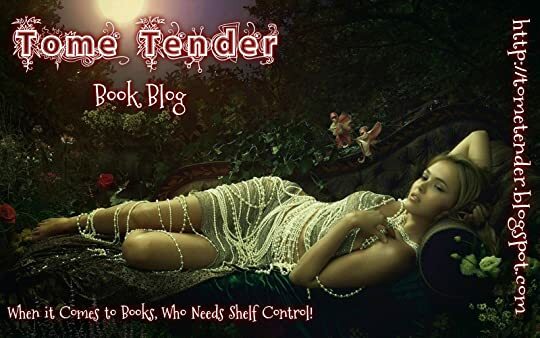 With Bex lurking in the shadows, plotting Jade’s demise, one small break at a time, it becomes apparent that in order to save the paranormal and human worlds alike, she must master her magic, and become the Fairy Enthrall. Besting Bex and overthrowing her evil reign will not be easy, but neither will convincing the fairy realm she is worthy of the title. And again, with JADE'S PARADOX, Isabelle Hardesty has created a strong character who represents all that can be good in people, even as a teen in over her head in a world that has never quite accepted her. New family dynamics, unsettling truths, and the wicked machinations of a powerful adversary will test Jade to dig deep and believe in herself, as she fully comes of age in an onslaught of turmoil! It is so wonderful to read a young adult tale that relies on great storytelling with strong main characters who FEEL like teens and then to find a teen romance that is sweet and sometimes a little “gushy” without the over-the-top angst! This is a series I would buy for my young adult grandchildren! I received a complimentary ARC edition from Isabelle Hardesty! Isabelle Hardesty is a writer of young adult fantasy. She's a lover of all things fantasy and magical. Isabelle lives in Atlanta with her husband and son. She loves being with her family, eating chocolate and connecting with readers. When she is not writing, you can find her either researching for her next book or painting. She is currently writing two book series.The first is a young adult fantasy Isabelle Hardesty is a writer of young adult fantasy. She's a lover of all things fantasy and magical. She is currently writing two book series.The first is a young adult fantasy series about a Latina teen born to magic with a bloodline that is half destroyer witch and half healer witch and begins with THE WITCH OF BELLE FLEUR. The second is the Delacourt Saga series. This begins with JADE'S AWAKENING and is about a half shapeshifter half fairy teen who finds herself thrust in the middle of a supernatural storm. Please visit my website at www.IsabelleHardesty.com for more information.